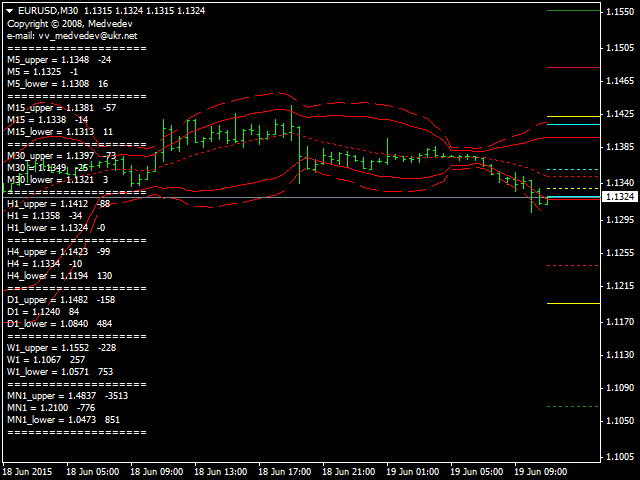 The main feature of this indicator is the ability to monitor the levels of Bollinger Bands of the higher periods. The bands can be displayed either as horizontal or trend lines. By enabling the comment, you can assess the Bid price distance (in points) relative to the lines for all periods simultaneously. 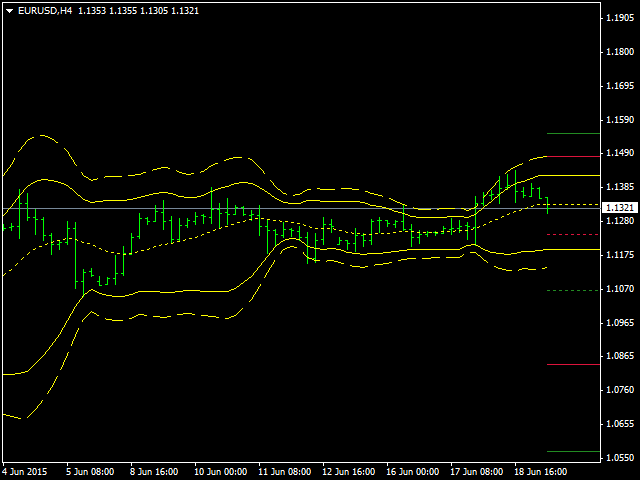 Two Bollinger Bands indicators are displayed on an active timeframe. 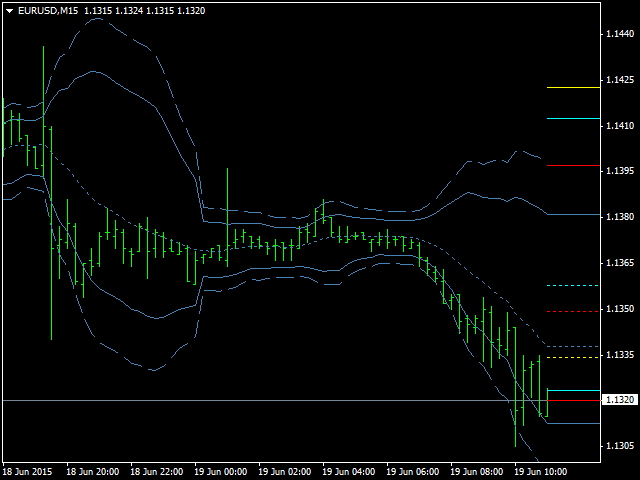 The indicator having the greater standard deviation is used as an overbought (oversold) zone marker. Bollinger Bands signals depend on the market volatility and are excellent markers of support/resistance levels allowing you to see a price channel width and define a trend direction. 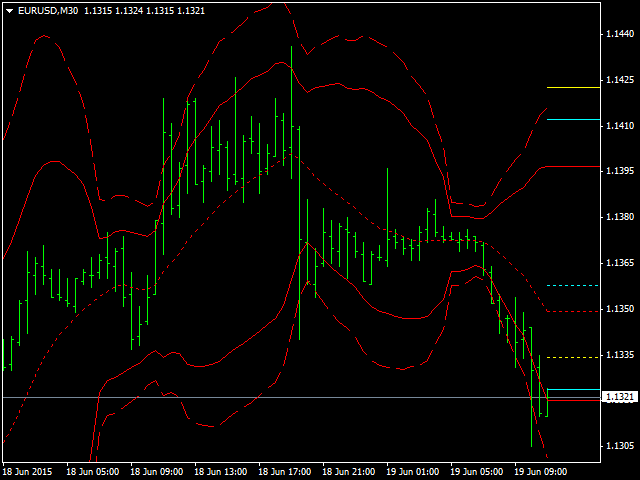 In order to select a period properly, examine the price behavior relative to the lower band after the Double Bottom pattern is detected. The second bottom should stay within the channel. 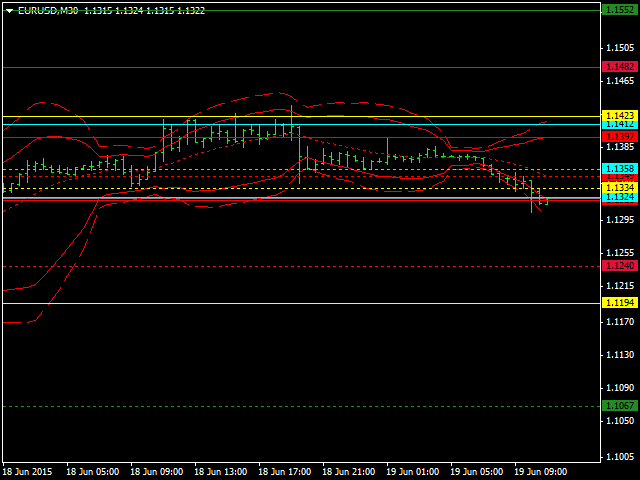 If it leaves the channel downwards, the period is too short. Period – number of bars used for calculation of the indicator. The default is 20. Deviation № 1 – standard deviation for the first indicator. The default is 2.0. Deviation № 2 – standard deviation for the second indicator. The default is 3.0. Price_exit – applied price. The default is the weighted Close price. method_ma – averaging method. 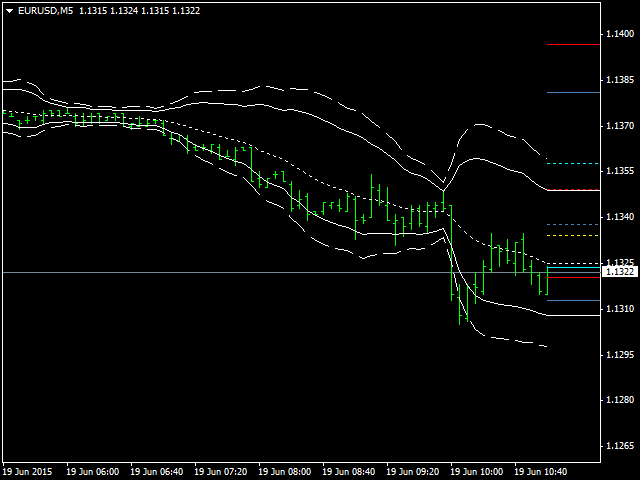 The default is the linear weighted moving average. Enable comments – display the values of the Bid price distance difference relative to the lines. Inclusion trend lines – display trend or horizontal lines. You can enable/disable the display of Bollinger Bands, as well as define the color settings for each timeframe separately.